But it is less of a recipe, except for the sauce and mayo, and more of a method for creating one of the tastiest treats you will ever put in your mouth. My scrumptious sauce, which is very low calorie, compensates for any excessive calories in the fries. We used Kroger brand crinkle fries–it has to be crinkle in my book!–to save money and felt that the quality was on point. No need to pay Ore-Ida prices. And we fried rather than baked them because we just purchased a Cuisinart Mini-Fryer, exactly like the Waring Pro Fryer we have, only smaller. 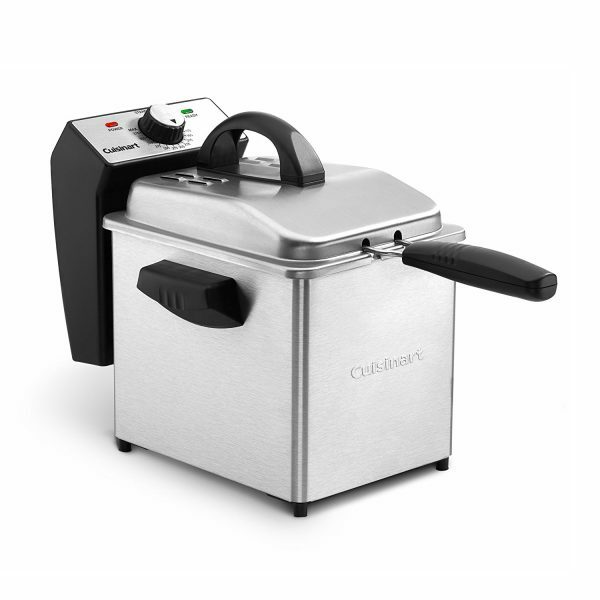 Waring Pro makes the same mini-fryer but Waring was purchased by Cuisinart and, while you can still purchase both, the Cuisinart model is the newer one. Each costs $43.95 with free shipping on Amazon. 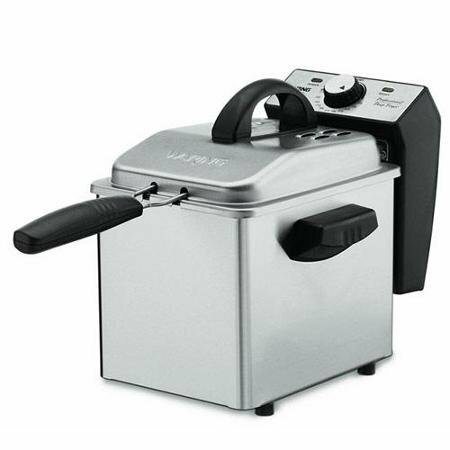 So, while we fried–and drained/blotted–our fries to test drive our sleek little fryer, you can bake them according to package directions and still love the results. Then, you just pile fresh ingredients on top, which we like to set up like a mini-bar: finely shredded cabbage because we had it, though bean sprouts would be the traditional; sliced green onions; chopped cilantro; and a spritz of lime juice. 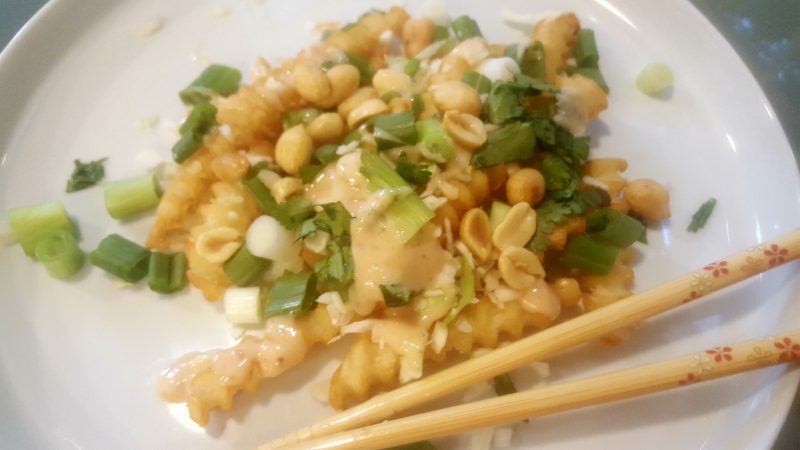 Finish with a generous drizzle of my Bangkok Sin(less) Sauce and some roasted and lightly salted peanuts and you are all set. I like to garnish the dish with lime wedges but I inadvertently left them out in the photo. I love eating my fries with chopsticks, though I needed a fork right at the end to scoop up every outrageous bite. Whisk together all ingredients and set aside. Store in an airtight container in the refrigerator. Yield: 2 cups. There are only 250 calories in the entire recipe or 8 calories per tablespoon! Place all ingredients in bowl of food processor and process until smooth and creamy. Taste and adjust seasoning if desired. Store in airtight container in the refrigerator.